Cleanup is probably the least enjoyable part of entertaining guests — as are elaborate recipes that keep you in the kitchen all day. 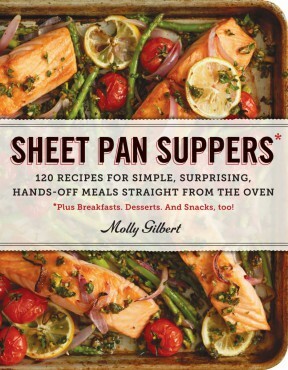 “Sheet Pan Suppers,” released this past December by Workman Publishing, promises to take care of those problems. Named an essential kitchen gadget by the New York Times, the sheet pan is a powerful kitchen tool that combines intense flavors with easy prep, easy cooking and easy cleanup. The result is juicy and tender meats, crispy potatoes, caramelized and slightly sweet vegetables, syrupy fruit and decadent desserts. 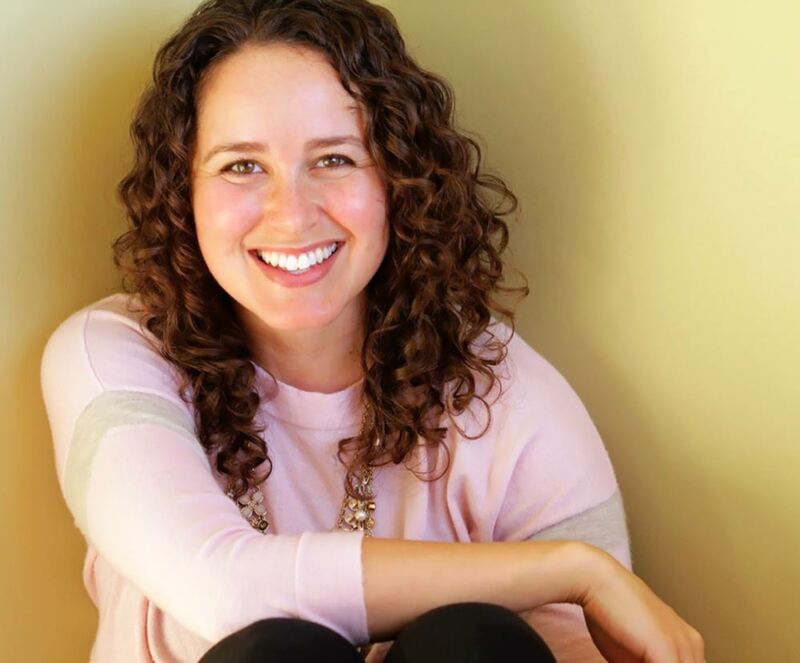 Author Molly Gilbert, who lives in Seattle, says she was inspired by the sheet pans themselves to write the book. Sheet pan cooking means roasting, broiling, and baking — three methods that concentrate and intensify flavor. All you have to do is toss the ingredients on a pan and pop it in the oven, Gilbert says. 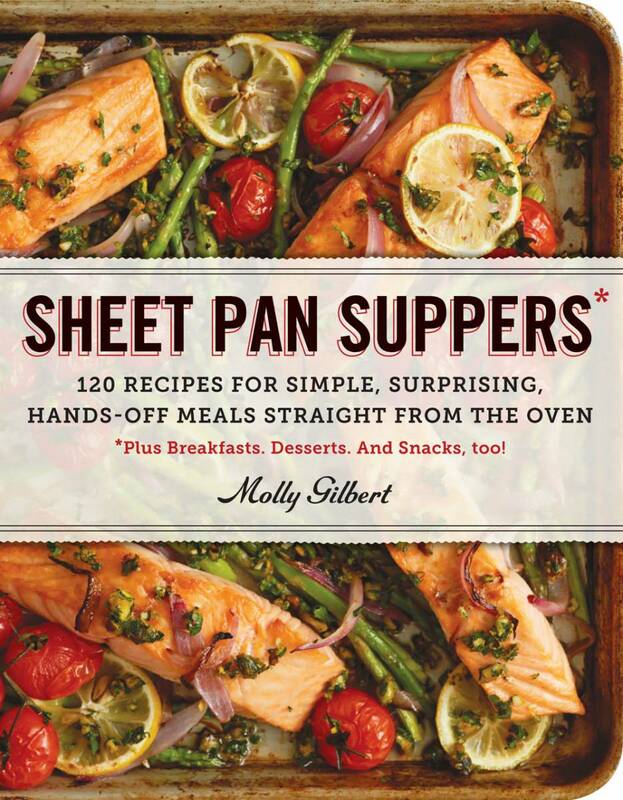 “Sheet Pan Suppers: 120 Recipes for Simple, Surprising, Hands-off Meals Straight from the Oven” includes tips along with easy recipes such as Baked Feta & Chunky Mango Chutney, Herbed Goat Cheese Zucchini Tart, Chicken Parmesan, Tilapia Tacos with Zucchini & Fresh Mango Salsa, Roasted Squash Salad Bowls, Herbed Leg of Lamb with Crispy Sweet Potatoes, Cannoli Roulade and Broiled Plums with Meringue Hats. Learn more about Gilbert at dunkandcrumble.com. The book retails for $15.95 and is available at The Traveler and Eagle Harbor Book Co. on Bainbridge Island and online at amazon.com, target.com and barnesandnoble.com. They’re clever and healthy and perfect for hosting some friends for (a clever and healthy) brunch. We just nestle some eggs into a bed of baked kale and top it all off with some salty feta cheese and meaty chunks of ham. It covers all our bases, especially when served with some simple toast and a big pitcher of fresh orange juice. With friends, on the weekend, in a house, with a mouse (but no mice, because gross), let’s enjoy these greens and eggs and ham. Preheat the oven to 375 degrees with a rack in the center position. Line a sheet pan with aluminum foil and mist the foil with cooking spray. Spread out the ham on the prepared pan and bake, using a spatula to mix and turn the ham occasionally, until lightly browned, 10 to 12 minutes. Transfer the ham to a plate with a spatula or slotted spoon. Do not wipe up any grease from the bottom of the pan. Place the kale on the sheet pan, drizzle with the olive oil, sprinkle with 1/2 teaspoon salt and toss to coat. Spread out the kale in an even layer. Bake for 5 minutes. Remove the pan from the oven but leave the oven on. Use a wooden spoon to make 8-12 evenly spaced divots in the kale to accommodate the eggs. Crack an egg into each divot. Sprinkle the feta, the reserved ham cubes and some salt and pepper on top. Return the pan to the oven. Bake the eggs until the whites are set but the yolks are still runny, 10 to 15 minutes. 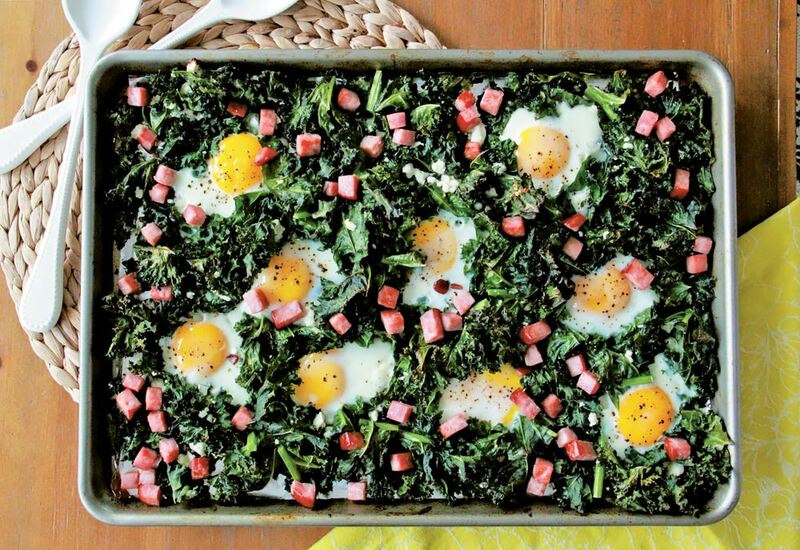 Enjoy greens and eggs and ham immediately, with some crusty bread to soak up the warm, runny yolks.